Here luxury is everywhere .. elegant, refined luxury. The vast indoor patio reveals a brilliant architecture blending contemporary style with local tradition. 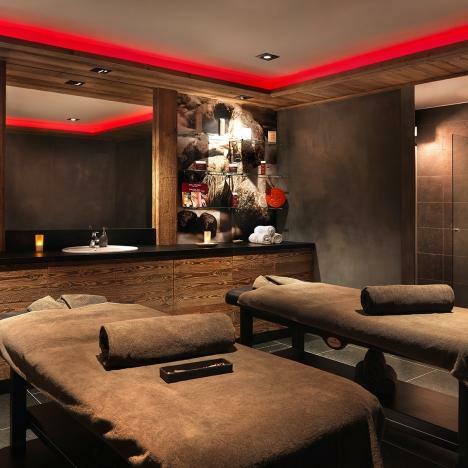 The M invites you to relax in the modern, well equipped Balneotherapie area. More than just a hotel, the M is a luxurious, authentic, contemporary chalet with a personalized welcome at the heart of its philosophy. Already ten years have passed since Cinq Mondes brought to its first Spa in Paris a selection of the best Rituals from Beauté du Monde. 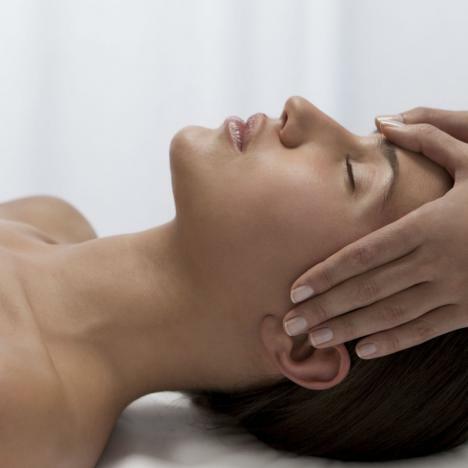 The body and face treatment-massages associate the effectiveness of the CINQ MONDES Dermapuncture with the performance of the natural Phyto-Aromatic products for the youth of the face and for the relaxation of the body. For special focus on a specific area of the body, with the most appropriate pressure, a customized oil for your specific needs to restore all your sin's softness. Place yourself with confidence in the expert hands of your therapist who will create a custom-made massage just for you. Access for hotel guests but also open to non guests to the Spa and the Balneoptherapy area of the M offering more than 300 M2 in the heart of the hotel. Our relaxation area is open from 8:30 to 20h and to preserve your peace of mind, access to the SPA is limited for children (under 12) from 8:30 to 16h. At the M de Megève, personalized welcome is at the heart of its philosophy. 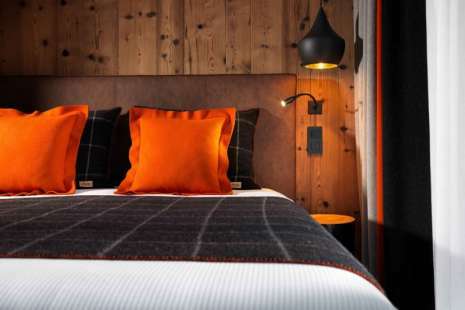 If you wish for help in the organization of your stay, for buying tickets, mechanical remonées packages or ski lessons, making reservations or just information on what not to miss in Megève, the concierge service is available to make your stay a unique experience. 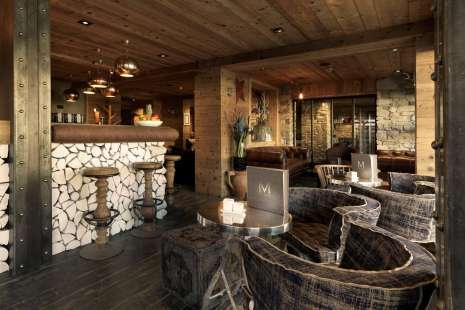 M’s Bar is an invitation to an « après ski » lifestyle. A relaxing place open to the hotel and the village where everyone loves to meet around the open fire. A pleasant place to enjoy with no limit. In Megève you are in the gourmet capital of the Alps. The M of Megève contributes to this reputation by elaborating light, sophisticated cuisine from seasonal local products. 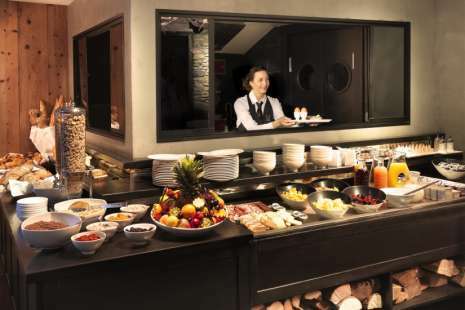 Breakfast is one of the most important moment of the day. 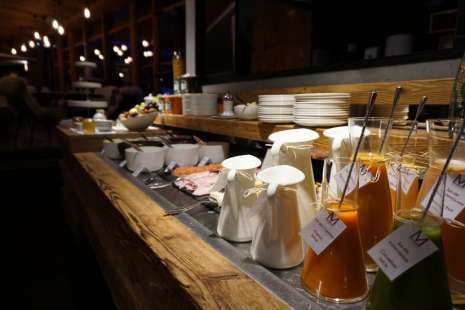 That is why we offer you a fully breakfast at M de Megève. 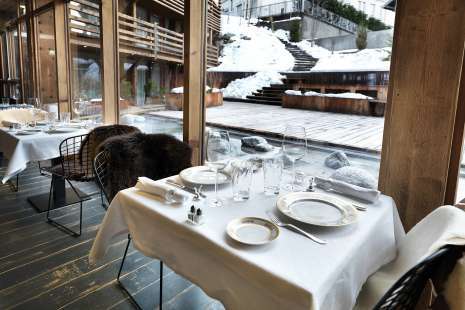 This winter, sought after chef Yves Camdeborde will hold the residency at leading Alpine hotel, the 5-star M de Megève. Room for disabled guests available. Le M invites you for a romantic village Horse-drawn Carriage tour (according to availability, pre-booking is required). We will do everything possible to ensure that your room is ready as soon as possible . However, rooms will not be available until 16:00 ( contact us for any change). Rooms must be vacated before 12:00 . In case of late check out, contact the reception. The total amount of deposit will be retained if the reservation cancellationoccurs less than sixty days (high season)) and fourteen days (low season) before the expected date of arrival. Reservations are considered firm unless accompanied of a deposit worth 30% minimum of the total amount. Nous sommes venus dans l’hôtel pendant la période de Pâques juste avant la fermeture. La qualité du service correspond au standing attendu d'un hôtel 5 étoiles. Nous avons tout de suite était à l'aise avec un personnel à l'écoute et conviviale. La décoration est réussite et l'ensemble du style de l'hôtel est cohérent. Il manque peut-être un peu de lumière dans le couloirs. L'espace spa correspond à un spa de montagne. La piscine est de petite taille mais suffisante pour la taille de l'hôtel. L'espace massage est agréable mais le tarif est peut-être un peu élevé. Evidemment le prix s'inscrit dans la gamme d'hôtel. Le petit-déjeuner est bien mais reste cher pour sa grandeur. Nous avons l'habitude d'avoir le prix du petit-déjeuner inclus dans celui de la chambre donc généralement nous ne savons pas combien cela nous coûte. Nous sommes venus en famille avec un enfant en bas-âge et je dois avouer que la gentillesse et l'amabilité de l'ensemble du staff est à retenir. Il manque une entrée voiture devant l'hôtel. Je comprends qu'un trottoir sépare la route de l'hôtel mais il serait judicieux de laisser au moins 2 places libres devant l'hôtel pour avoir la possibilité de s'arrêter devant la porte. Heureusement pour nous il n'y avait pas beaucoup de monde en cette période et nous avons trouvé une place de parc de l'autre côté de la route. Notre séjour a été très apprécié par l'ensemble de la famille. Il est possible que nous reviendrons un jour passé un séjour dans cet établissement qui correspond aux attentes d'un 5 étoiles de montagne.